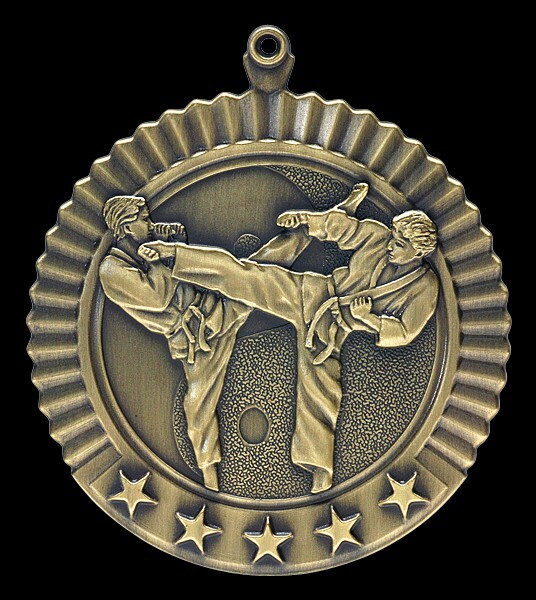 Karate Male Star Medal 2 3/4"
Karate Male Star Medal 2 3/4". Comes in Gold, Silver or Bronze. Engraved Inserts can be added to the back for $2.00 (R) each, $15(v) setup fee.